Children and their families are invited to celebrate Children’s Day/Book Day (El Día de los Niños/El Día de los Libros). This national celebration emphasizes the importance of literacy for children of all linguistic and cultural backgrounds. 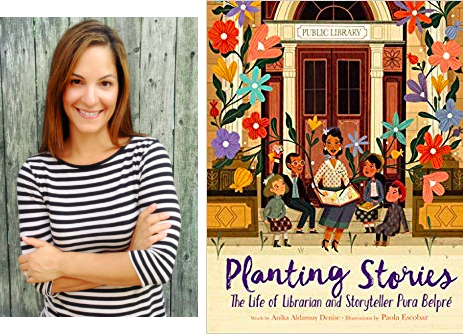 This event features special guest Anika Aldamuy Denise author of the book Planting Stories: The Life of the Librarian and Storyteller Pura Beplré, music, crafts, free books, and a snack. No registration required. This is a FREE program for children of all ages and their families.